Military divorce on its own can be extremely complicated, however this becomes inherently more complex when one of the spouses is deployed as a result of military service. There are several different steps that you can take in order to protect yourself in this situation, and it is important to identify a Tampa military divorce attorney who is experienced with military divorces to begin with. Many individuals may be uncomfortable with initially reaching out to a Florida divorce attorney to discuss their individual needs. However, this is your opportunity to identify someone who can help you with a very personal matter in your life. The majority of consultations for a first time with a Florida divorce attorney will last approximately 1 hour. You can be prepared by bringing in a list of assets, and inventory of property, and other issues that you may be concerned about with a divorce, as well as, copies of any military related information. In the event that you have a consultation with an initial attorney and you are not comfortable working with him or her, you can schedule a consultation with someone separately. This is your opportunity to interview the attorney and get sense of whether or not you would be comfortable working with this person over the long run. Some military families may also choose to make use of free counseling available to you through Military OneSource. Programs or counselors may be available at the local base or post prior to your divorce. There are emotional issues associated with deciding to get a divorce. Speaking with a counselor can be helpful if you have not yet decided to file for divorce, as this is a good way to begin the emotional process of dealing with healing prior to your service member returning. One of the best rules to consider when moving forward with a military divorce is that having all of the materials ready, including legal, insurance, and financial documents, can help keep things organized, and should be presented to your Florida divorce attorney. Your attorney can help illuminate you on what documents are necessary and important for your case so that you can begin collecting and organizing these. Step three is to keep track of the money. Important documents like titles and deeds to homes, monthly bills, financial statements, mortgage statements, and more, can help to figure out how much money is necessary in order to keep your household running. In addition to understanding your budget and your finances, it is a good idea to save money during this time. The fourth step is to consult with your lawyer about next steps. An experienced military divorce attorney can help you understand the process that is necessary to initiate a divorce when one of the spouses is deployed due to military service. No one wants to go through the process of getting a divorce, and especially when there are complex issues involved because of the military. However, if you find yourself in this situation, you can get help from an experienced lawyer as soon as possible. Remember that in this troubling time, you are still able to consult with someone who will have your best interests in mind. This person is your Florida divorce lawyer who will work hard to find the best possible outcome for your and determine a strategy to get there when it counts the most. Bear in mind that there can be additional challenges with this situation, particularly if the spouse who is deployed is not comfortable with getting a divorce, or is hesitant to sign the paperwork to move things forward. 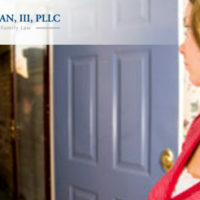 This can be a very emotional decision, and one that can be escalated if you do not have an attorney you can count on. You should not hesitate to reach out to a lawyer as soon as possible after you decide to get a divorce. This is not an easy situation, but it is one that should be handled only by a knowledgeable lawyer you can trust. Do not hesitate to reach out to an experienced attorney today via calling at 813-280-5301.